The best thing for browsing in full 3D has to be CoolIris. The best part, is that its a plug-in for Firefox. Takes a minute to install and fire up. But wow, once you’ve launched the product, its just amazing. You’ll need to see it for yourself. This is a Kleiner-Perkins backed company and has about 2.4 million users (downloads of the plug-in). Its fun eye-candy, especially for those of you with a large, wide screen monitor. TV Online – It’s NOT on TV and worse, everyone appears to be all the same. At first, CinemaNow and MovieLink were the 2 places for online consumption of movies at first, then TV shows were added. Well intentioned but clunky and smothered with restrictions on viewing the content, it was accepted only by the most avid online enthusiast with the fastest connections to the Internet. You could download Indiana Jones ( 30-45 days AFTER its DVD release) and by the time you were done, Indi 2 was in the theaters. It was painful. But your yardstick for measuring success was simple – in the number of downloads. Then came the notion of streaming video just like youtube was doing (and much illegal content on youtube ) and then came a crop of youtube look-alikes, then joost appeared and a whole slew of joost-alikes came along. Once the social networks hit big, there were social networks built around content, blip TV, veoh’s, revvers, myspaceTV, etc. Somehow, someone felt that if I was online at Facebook or a MySpace member then I must also like to watch a certain genre of films or type of TV show (which is mistake # 1) and that I’d watch it online (mistake # 2). The recommendation engine ‘notion’ applied to me in this way was all wrong! Soon, established brands launched their own ‘branded’ version/site of online TV and movie consumption; iTunes, amazon video on demand (downloads) , hulu, reeltime, tidaltv, jaman, babelgum, TheWB + and more. Then we have all the set-top ‘boxes’ that arrived, X-Box downloads, Vudu, Roku/Netflix, the late Akimbo, TiVo, Comcast, ATT-U-Verse and the list goes on. Now, after all of this ‘launching’ and all of these press releases and all of these disparate systems, I have 2 observations to make. The FIRST is that unfortunately, EVERYONE SEEMS TO HAVE MUCH OF THE SAME MOVIES AND TV SHOWS. There is no real ‘differentiation’ other than the domain. No one ‘programs’ a service anymore. It seems depending on the service and who they have been able to strike a deal with, they simply put every single piece of content up online in mass, categorize each piece with the usual tags like ‘adventure’, ‘sci-fi’, ‘suspense’ etc. Each is advertising not hundreds, but ‘thousands’ of titles…4,500..10,000, 40,000 +. There is no ‘guide’ other than search fields embedded somewhere on each site for the consumer to ‘search’ for his or her movie or show. The SECOND is that despite all of the many services calling themselves ‘online TV’ or ‘ IPTV’, NONE OF THEM ARE ACTUALLY CARRIED ON TELEVISION. Unless you’ve hooked up your PC/MAC to your LCD, your computer bound. With the exception of a few ‘boxes’, most online TV websites require you to watch and pay to watch this content on your computer. I can see watching some of this content for free on my computer, but I have a hard time seeing myself paying for any of it, especially since most of it I can already get on my cable or satellite TV in one form or the other (and I can find it easier with the TV guide on my cable or Direct TV). 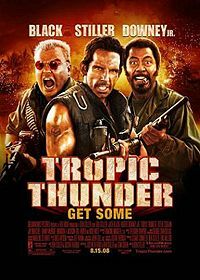 So, why should I be excited to see ‘Tropic Thunder’ show up online on my 21” PC screen for $ 5.99 ? It will show-up on my 45” LCD TV set anyway on PPV for the same fee, but I can sit on my couch and watch it. UGC is easy to understand why its so popular. Most UGC is 2-3 minutes in length, hardly an hour and a half movie. There are a lot of people online and yes, movies and TV shows are popular. But the reason most of us are online was not to find a movie or TV show. Initially, it was for email and for information and communication. It still is and even more so. It’s simply that our connections are that much bigger today and therefore this allows for the ‘broadcasting’ of video whereas years ago, it just was a ‘pipe’ (sorry, bad joke) dream. Now, if one day, somehow I can get access to any movie or TV show I can think of sent directly to my TV set, (using the internet as a dumb pipe) regardless of what pay or basic cable service had the film under license… now that’s something I’d pay for or watch with commercials. I’d love to collectively watch some of Hollywood’s grandest and biggest failures that I choose like Michael Cimino’s ‘Heaven’s Gate’, ‘George Lucas’s Howard the Duck’ , Warren Beatty’s ‘Ishtar’, ‘Under the Volcano’ etc. Or, watch all of the ‘Thin Man’ films (William Powell, Mynra Loy and Asta). Ahh…maybe one day. There is this urge in all of us to watch others dilemma’s, happenstances and circumstances that are out of our control or for that matter, anyone’s control to see what will happen and when it will happen. If there was a 24/7 car chase channel on TV that did nothing but let us watch the myriads of car chases from TV news helicopters that occur every day on our highways and city streets, it would be a ratings star. We’d use it as TV wallpaper. Leave it on, glance over at the screen once and a while all the time hoping to see some kind of climactic and safe (?) resolution to each chase. Well, there is no ‘Chase Channel’ cable TV or internet channel today but there is a new web site that allows us to better watch and observe a Hurricane. And its got great graphics and data, along with a nice light degree of interactivity. So, instead of only being able to see the giant ‘green swirling’ white clouds repeated 10X backwards and forwards on the evening weather portion of the news, try this site called ‘Stormpulse‘. Here’s a pic/preview. There’s nothing to download, which is even better. Chrome’s tricks and ‘eggs’ of strength revealed!